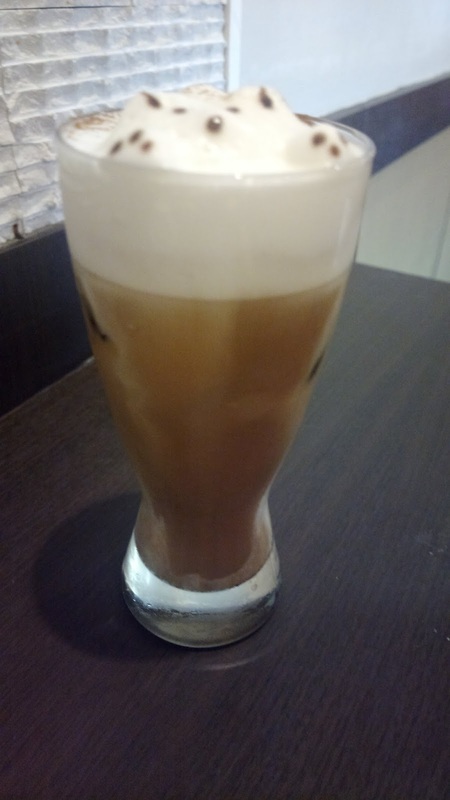 Since most coffee shops are buzzing with people sipping a drink while working, studying, and chatting, most places offering a coffee drink are often crowded and noisy. 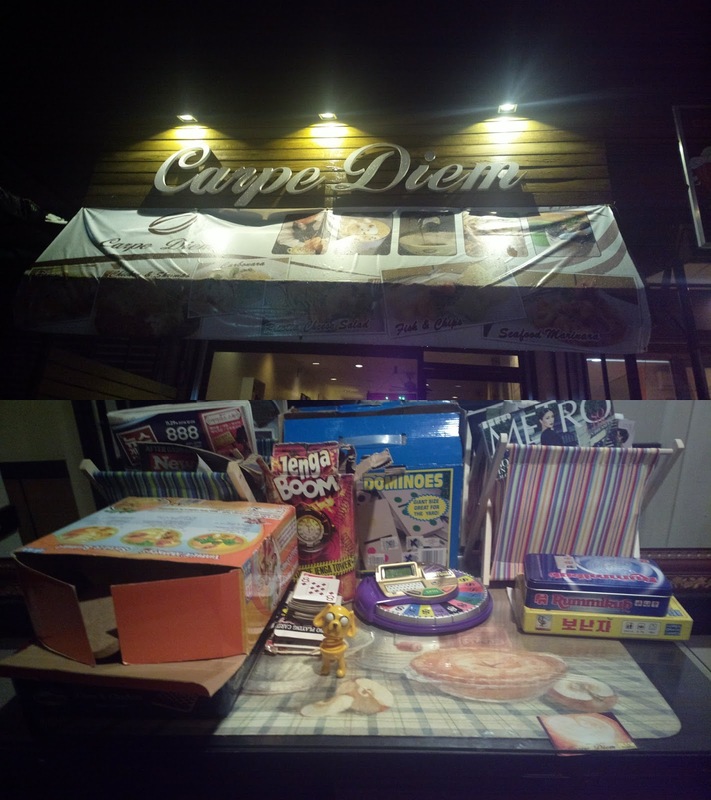 So if you're looking for a coffee shop where you can sit and relax in a not-so-uberly filled location, there's a hidden gem in the popular food street of BF Homes in Parañaque City called Carpe Diem. We originally found this place after using the Zomato mobile app. You can use the application to look for restaurants, food stores, and coffee shops near your location or within specific miles. After filtering the search for coffee shops, we were surprised that a seemingly unknown shop (Carpe Diem) was on top of the list with the highest rating, even higher than scores of popular coffee brands. So we decided to give it a try and find out why it was ranked high. Seize the day (the literal translation of the Latin phrase Carpe Diem) through this little shop where you can pass the time as couples, group of friends, and even families with little ones. There's a area where kids can choose game boards to get themselves busy too. Although the place isn't usually filled, all seats were taken (even the smoking lounge outside) when we dropped by one night (around 9PM on a weekend). Most likely because it's raining and people will definitely enjoy the coffee more to ward off the cold that time. Good thing there is an elevated, bar-like area still available for us to sit at. We ordered the usual contrasting hot and cold drinks; latte for me and cold cappuccino for my husband. 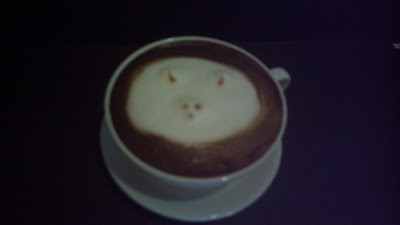 We both enjoyed the drinks and the appetizingly artsy cream foam on top. Too bad the designs don't last long and they melt due from the heat (for a hot coffee) or from us drinking (for the cold one). 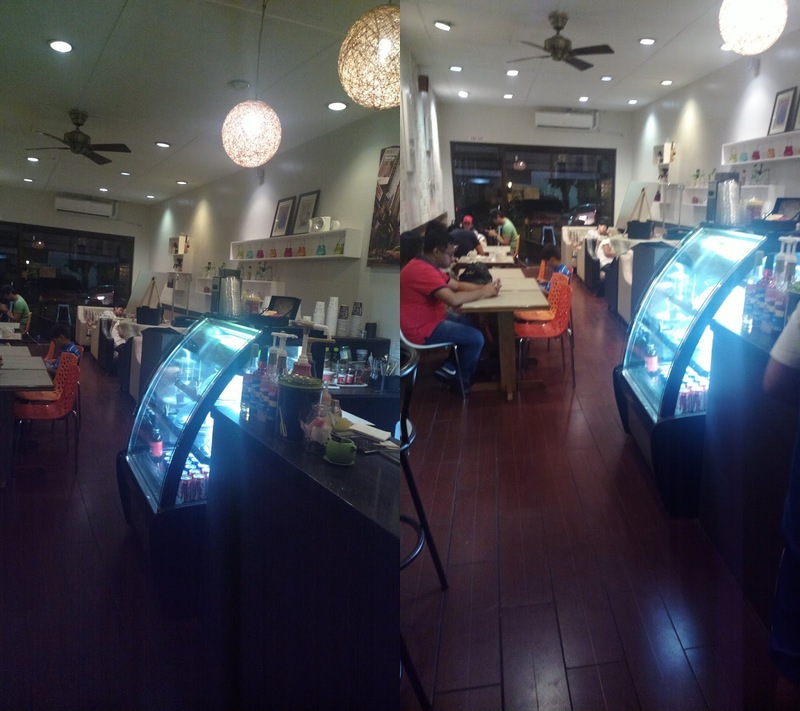 Carpe Diem is located in 122 Aguirre Ave. in BF Homes Parañaque. You'll find more information about them including the complete menu, contact information, hours, reviews, and more photos through their official Facebook page www.facebook.com/carpediem.phil . If you love coffee i have a good news for you. The calorie of coffee depends on you. You can choose high or low calorie coffee. You can choose your best coffee from this coffee bar.